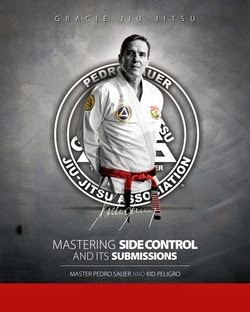 Long Beach, Calif., (May 3rd, 2012) – The inaugural World Jiu-Jitsu Expo, staged on Saturday, May 12, 2012 at the Long Beach Convention Center in Long Beach, CA, will feature a live pay-per-view webcast of the entire slate of jiu-jitsu superfights. 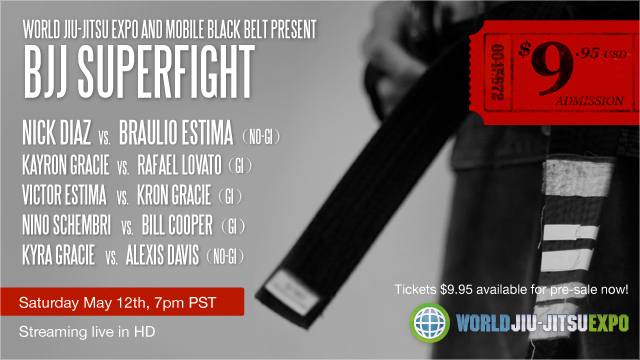 The HD stream, produced by Mobile Black Belt and available for purchase on mobileblackbelt.tv for $9.95, will begin with a pre-show at 6:30 pm/9:30 pm PT/ET and the first fight will take place at 7:00 pm/10:00 pm PT/ET. Jiu-jitsu fans unable to watch the live stream will be able to purchase the full production On Demand for 30 days following the event on mobileblackbelt.tv. In the spirit of “the gentle art,” the World Jiu Jitsu Expo and Mobile Black Belt will donate 10 percent of the proceeds from each pay-per-view purchase to charity. In addition, Nick Diaz will donate his entire purse to charity. 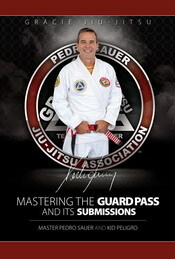 Tickets are available now on on mobileblackbelt.tv. 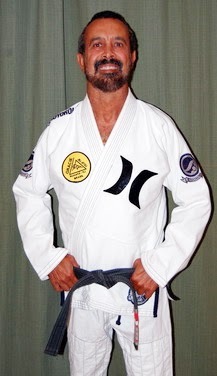 Braulio Estima's : "The Evolution of Jiu-Jitsu"